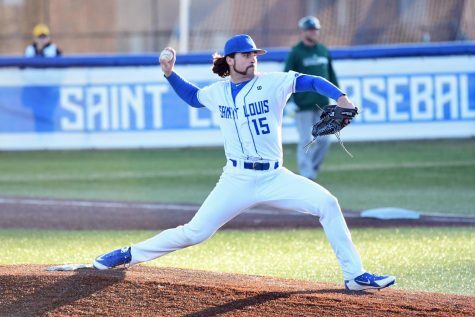 Saint Louis University’s baseball team opened its Atlantic 10 conference schedule on the road against the Rhode Island Rams. 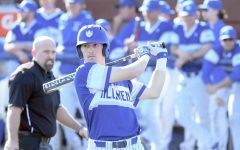 The Billikens played a three-game series against the Rams and completed the series sweep to open their conference record at 3-0. The team holds a 14-8 overall record going into the main stretch of their conference season. 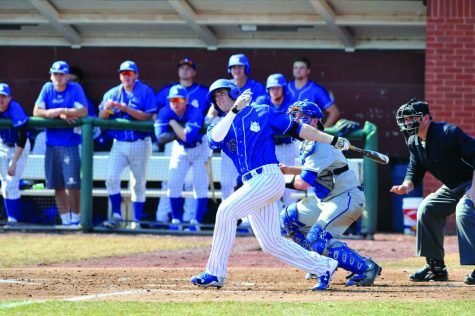 The Billikens started the series on Friday, March 21 with a 4-0 victory over the Rams. 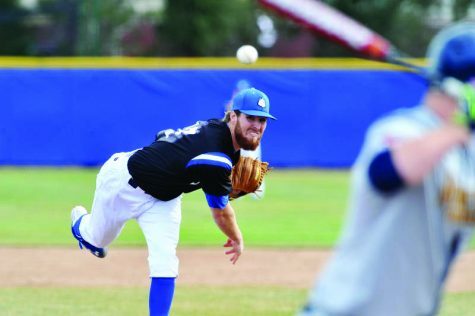 The game was highlighted by a pitcher James Norwood’s complete game one-hit shutout. Norwood threw 97 pitches in the shutout and allowed his only hit of the game in the fourth inning. SLU gave Norwood a 2-0 lead in the third inning on a Mike Vigliarolo double to left field. Vigiliarolo would add an extra run after a throwing error by Rhode Island later in the same inning. That was all of the run support Norwood would need as he continued to pitch. 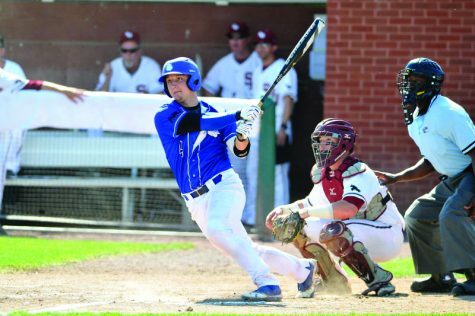 Josh Bunselmeyer added another run on a sacrifice bunt in the sixth, giving the Bills their final margin of victory. For his efforts on Friday, Norwood was named the A-10 Conference Pitcher of the Week. This was the first weekly honor of his career and the fourth weekly award for the Bills this season. 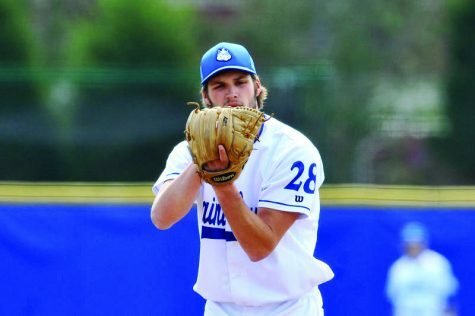 After Norwood’s performance in Friday’s game, the ball was handed to Nick Bates who gave the Bills another great pitching performance on Saturday, March 22 in a 3-2 victory over Rhode Island. The game on Saturday was not as easy as Friday’s game. 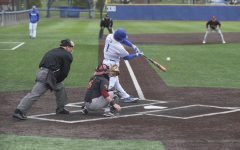 After Bates allowed an early run, SLU responded in the third inning as Michael Bozarth advanced home on a series of errors by Rhode Island to tie the game at 1-1. Later that inning, Braxton Martinez ripped a triple to score Vigiliarolo to give the Bills a 2-1 lead. The Bills added an insurance run in the fifth inning, but the Rams responded by pulling the game within one run in the eighth inning. URI had an opportunity to tie the game in the ninth, but SLU pitcher Matt Eckelman was able to force the final out and earn his sixth save of the season. Bates pitched six innings allowing one run on three hits. He also had seven strikeouts and allowed four walks. Eckelman pitched three innings to earn the save. Saint Louis swept the series on Sunday with a 3-1 win over Rhode Island to open their conference season with a perfect record. 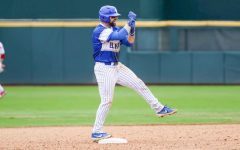 SLU’s offense was silent this game for the first six innings, but the team woke up in the seventh. URI took a 1-0 lead going into the seventh inning. SLU’s Colton Frabasilio jump-started the offense with a single in the seventh inning. He would later score on a balk by the URI pitcher to tie the game at 1-1. SLU took the 2-1 lead in the eighth inning on a Frabasilio RBI single. Bozarth added another run with an RBI double giving the Bills as 3-1 final advantage. Sophomore Josh Moore pitched 6.2 innings without allowing an earned run in the victory over the Rams. Saint Louis traveled to Charleston for Wednesday’s contest against Eastern Illinois University riding a five-game winning streak. 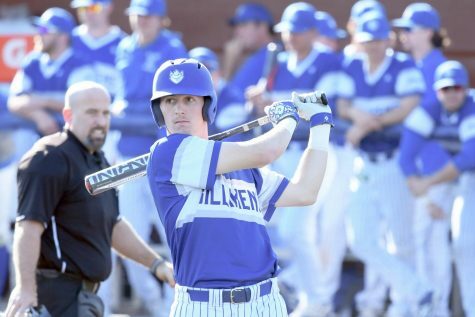 Freshman RHP Zach Girrens started on the mound for the Billikens as they dropped the back and forth tilt with the Panthers. Saint Louis opened the scoring with three runs in the second inning and stretched their lead to 6-0 in the third. Eastern Illinois came storming back and cut the deficit to one run after six frames. 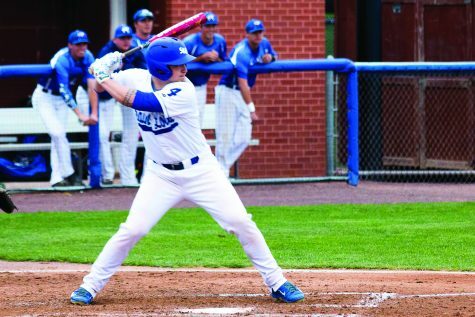 SLU added an insurance run in the seventh, but the Panthers refused to succumb to the visiting Billikens. EIU answered with one run in the bottom of the seventh inning and claimed the lead with three runs in the eighth. 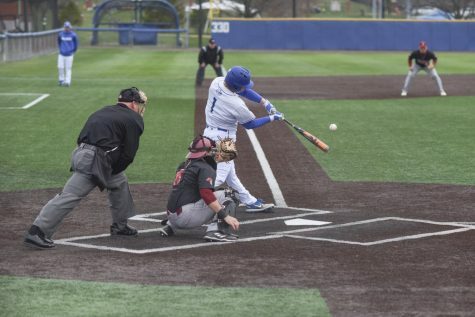 With the 7-9 loss against Eastern Illinois, the Billikens record fell to 14-9 overall. For the game the Billikens were outhit 14-8 as Girrens was hit with the loss. SLU will return home to continue its conference schedule against the George Washington Colonials in a three-game home stretch from Friday, March 28 to Sunday, March 30. These games will be the first to be played at the newly renovated Billiken Sports Complex.